Want to make your purchase contingent upon a Certified appraisal? Feel comfortable with our expert Pre-Purchase Appraisals. Pre-Purchase Appraisal. Today’s market can be challenging as a buyer. Whether you’re a property flipper or and individual or family looking to purchase a home to live in. It’s often difficult to sift through all of the market data to determine a true value for a property you are considering making an offer on. So it’s common for cash buyers and realtors who are buyer’s agents to rely on appraisers for assistance when establishing an offer price for the purchase of a property. This is where a Pre-Purchase Appraisal will come in to help in acquiring an accurate value for the property. That’s where Bostedo Appraisal Services comes in as we have a long history of working with homeowners in the Greater Pittsburgh and the surrounding areas making cash purchases on property’s as well as realtors looking for additional support for their buyer clients so their client will feel comfortable presenting a cash offer. In today’s marketplace and ever changing lender requirements, appraisers are aware of any underwriting changes the Banks may make. These changes deal directly with appraisal changes or requirements that may be added when appraising properties for mortgage purposes. Many of these changes may affect the final value of an appraised value. 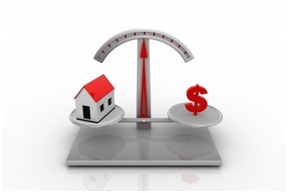 Regardless, the appraiser will be aware of these requirements and if the pre-purchase appraisal is prepared under ‘Bank Requirements’, the buyer will know exactly where they stand when making an offer and then can make a decision to purchase the property even if the pre-purchase appraisal comes in lower than the offer price, or to use the pre-purchase appraisal to renegotiate the purchase price. A pre-purchase appraisal is usually done after an offer is accepted by the seller. In this situation the buyer simply adds a contingency in the sales agreement making the sale contingent upon a satisfactory appraisal report. Actual language should be discussed with your attorney and/or realtor. At Bostedo Appraisal Services we can provide you with a professional 3rd party pre-purchase appraisal, which is far more accurate than a realtor based Comparative Market Analysis (CMA). A pre-purchase appraisal ensures both you and your agent if applicable, have an accurate description of the property you are purchasing, features and a detailed analysis of the most recent and comparable sales. Keep in mind that cash sales are different than purchasing a property with a mortgage. The Banks make sure that the equity in a purchase is accurate and they’re due diligence includes an appraisal prepared under bank requirements. Getting a pre-purchase appraisal will help you and/or your realtor determine a true purchase price for the property you are purchasing as well as help if renegotiation is needed. In addition, we can help you determine what, if any, improvements would be the most cost effective in adding additional value to your home after purchase. A full appraisal may or may not be needed depending on what it is you’re looking for. Sometimes a more limited valuation or market analysis report is entirely appropriate; whereas other times a full interior and exterior valuation may be necessary. Give us a call today with any questions you might have and make sure to check out our Customer Reviews and Testimonials page of what others have to say about our Team at Bostedo Appraisal Services. You can also watch our YouTube video on this subject below.